Search engines (SE) can send a lot of free traffic to your website. 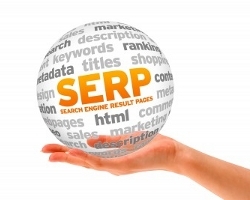 The trick is to rank high in the SERPs for your keywords. In other words, you want to aim for being #1 on Google. Even if you don’t make it to the Number 1 position, being on the first page of Google can still be valuable. Many searchers don’t bother to look beyond Page 1. Google isn’t the only SE, of course; there’s also Bing and a large number of other more or less notable ones. For the time being, however, Google continues to be a major driver of traffic to many people’s sites. If you’re interested in finding out more about other search engines, Phil Bradley has a useful list including some directories and other places to search for information. Phil is a librarian so he knows what he’s talking about when it comes to information search. Now, I’m not suggesting by any means that you wade through a long list of SEs manually submitting your site to them, and of course there are automated tools to do the submissions too. I did actually do this in my early years of running websites, but frankly for all the benefit I got from that activity, I’d have been better off spending my time doing something else. The exception to this might be if your site is in a niche area, either subject-wise or geographically, in which case it might be worth getting listed in SEs directly relevant to your niche. Search Engine Colossus has a huge list, but it’s not terribly easy to use. They only list the names of the SEs and you have to go digging yourself for the information about their rules, how to submit, etc. In many cases, you can jump through quite a few hoops before you find out that the SE wants to charge you for your listing. It can be time-consuming and often not very rewarding. I’d say to give it a miss for now, but least least be aware of the possibility of doing it (or outsourcing it) later. OK, so I’ve talked a bit about the what and why. Now we need to look at the “how” to get high rankings on Google. There are various ways to do this and I’ll be blogging about them soon. For now, here’s a few examples of some methods to improve your ranking – building backlinks, article marketing, blog posting, etc, etc. There are pros and cons of each, and traps to be wary of, so don’t just dive in to frenzied activity without first having an understanding of what exactly you’re trying to achieve. If you are chasing free website traffic – and most people start that way – also be aware of the pros and cons of doing it. Google frequently changes its algorithm, so you might put a lot of time and effort into ranking well and find tomorrow that the world has changed (again). The Panda updates of 2011, and the less notorious Penguin update of April 2012 are a reminder to all of us not to place an over-reliance on free traffic from Google. Getting to the top and staying there can require constant and considerable effort. You will need resources to do it – time, money, contacts. The traffic is supposed to be targeted, but don’t forget that there are different types of traffic (more later) and some may bring you money while others won’t. Don’t despair, even if some of this seems daunting. This has just been an overview for now and I’ll be going into it all in a bit more detail soon.